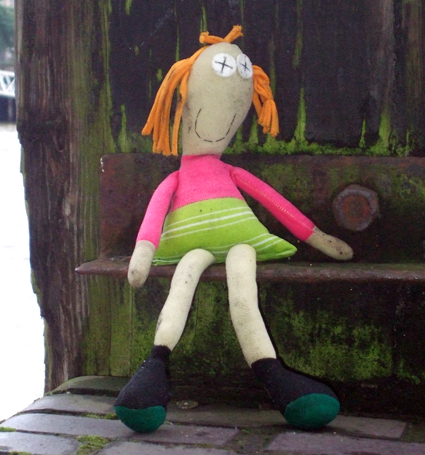 A bad witch's blog: Curses: What Would You Do if You Found a Poppet? Curses: What Would You Do if You Found a Poppet? What would you do if you found a lost doll? Would you leave it where it was? Would you prop it up in a prominent place so the person who dropped it could find it again? Would you pick it up and take it home? But what if it wasn't lost - what if it was a curse doll, deliberately put in the place you found it? In England, the traditional name for a doll used for sympathetic magic is a poppet, rather than a voodoo doll. Witches can use them for all sorts of reasons. These days they are mostly used to help or heal, but they can sometimes be used for curses too. There are many examples of traditional curse dolls on display in the Museum of Witchcraft and Magic. One way of attempting to banish someone is to make a doll in their likeness, name it after them and enchant it, then send it to a far-off place with the intention that the person it is named for will follow on. If you then picked up that poppet, you could potentially be attracting the banished rotter to yourself. Another form of curse involves creating a magical doll that has some deliberate imperfection - perhaps a stitched-up mouth, a broken limb or a pin stuck in the heart - then leaving it where the intended victim is going to find it. The idea is that if they pick it up and take it home with them, they have accepted the punishment. Obviously someone would have to be pretty malicious to leave that kind of curse around for a random stranger to take. However, you could just be in the wrong place at the wrong time and collect a malicious spell intended for another victim. Of course most dolls you will find in the street are simply lost toys. 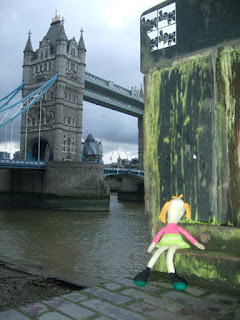 The doll in the pictures, which I photographed by the Thames, is probably just that. But I left it where it was, just in case. My book, Pagan Portals - Poppets and Magical Dolls, includes details of how to decommission magical dolls and cut the ties that connect them to an individual. You can buy copies at Treadwell's Bookshop in London or view the book on Amazon. How can you tell if you have a curse on you? I can't send people emails if I don't have their email address. My contact details are on the contacts section of my blog. I do sometimes consider features written by other people to post on my blog, so long as the subject is suitable and the feature is well written.